Poach tuna in salted water for 3-4 minutes until cooked through. Flake and pull apart and place in large bowl. Combine with mayonnaise, dill relish, salt and pepper. 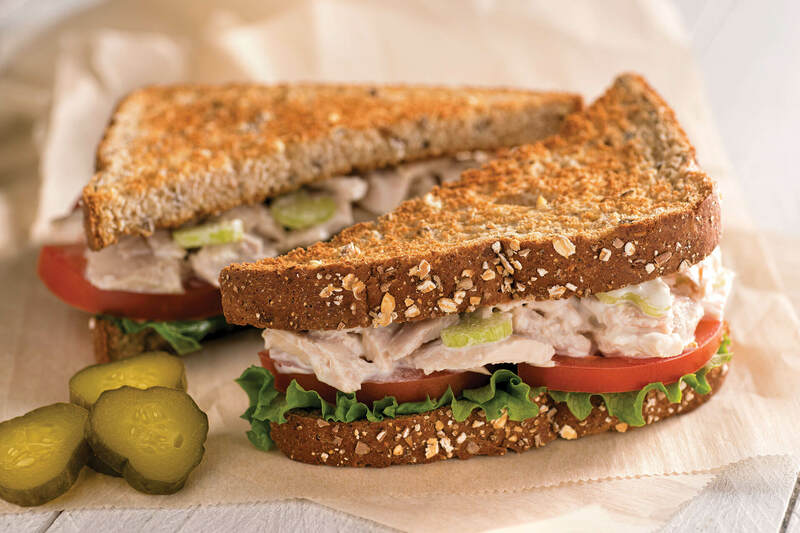 Serve on whole wheat bread.